Holy hotness! It was 95 degrees today which should be illegal for October! Thankfully we were in Santa Fe for a few days for my cousin's wedding. It was a lot cooler. The wedding was absolutely beautiful. I'm so thrilled for Stacey. She was widowed 7 years ago while pregnant with her third child. (He's to her right) I'm happy she found love again! 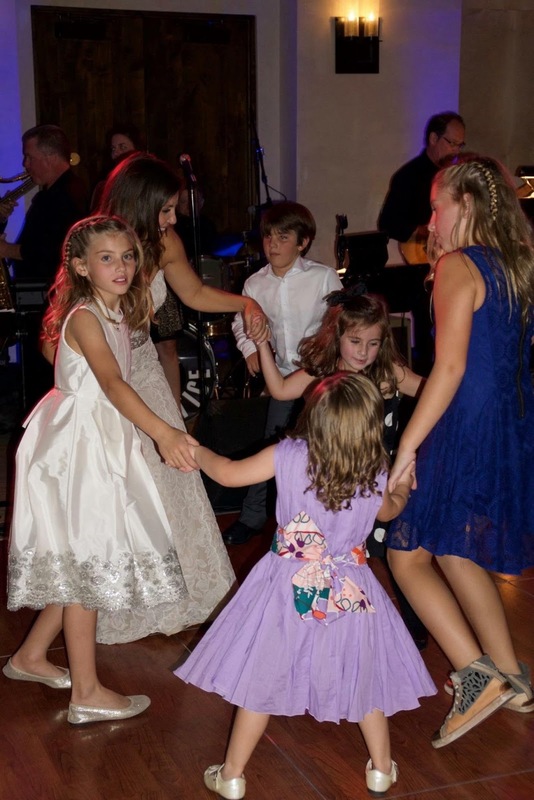 We had a great time and Katie tore up the dance floor. At one point her shoe went flying in the air. Now that's serious dancing! Ok, I promised house pics. Not one room is really completed yet. The slowness of this house remodel is driving me naners! This is in my living room. 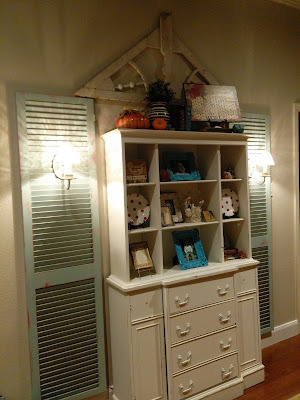 I got the shutters and sconces put up today. Do things have to be perfect and complete for you to want to see it? If so, close your eyes! Here's my kitchen about 30 minutes ago. I didn't even clean off the counters for you! We painted the walls, cabinets and ceiling. 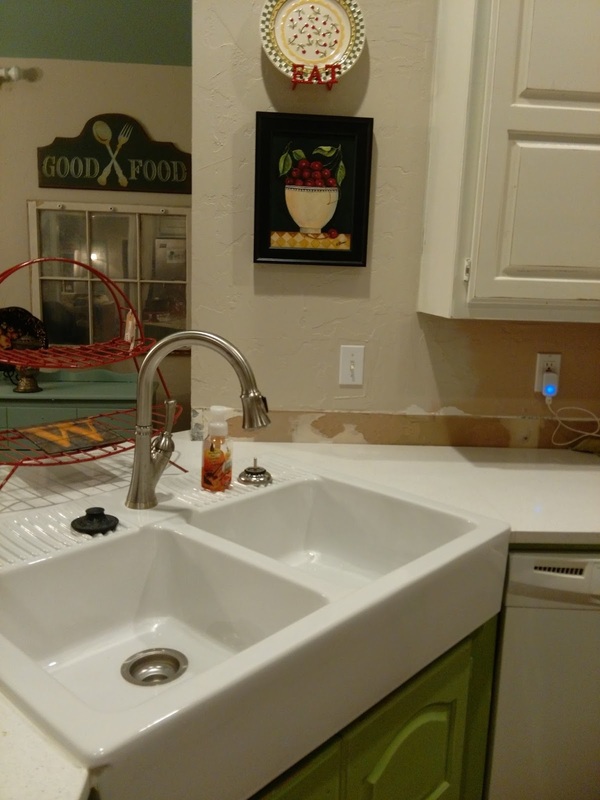 Got new counters and a farmhouse sink. And we put wood floors almost everywhere. Now we need to pick a back splash. Any suggestions? I'm thinking either subway tile or old tin tiles. Here's my entry way. That shelf was the mantle over the fireplace. It fits perfectly by the door. My switch plate isn't even screwed in yet! It's just dangling there. Speaking of the switch plate...who ever put it so far over to the left, needs to be kicked in the shins! I came up with a mirror collage to help the unfortunate situation. I just got this lamp at walmart for $10. 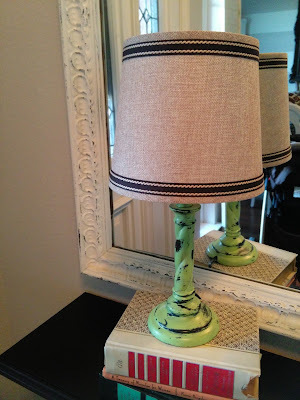 I painted and distressed the base. I feel like we are in the home stretch with a lot of our projects. Christmas is going up in 4 weeks, so we need to wrap this thing up! I'm most excited about a pallet wall we are doing behind our TV in the living room. I can't wait to see it! I need Marcus to retire from firemaning and be my full time construction worker. As it turns out, we can't really afford to do that at the moment. So, I'm growing my patience instead. I love seeing how you decorate. Thanks to you, I now spray paint everything! If I'm not quite liking the color, I just think, well, that's nothing a little spray paint can't handle. 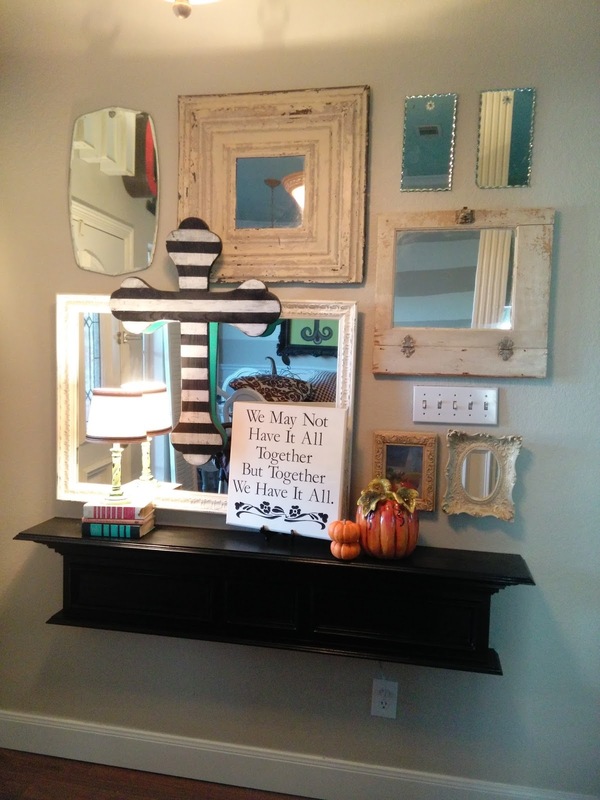 Love your decorating! I vote for subway tile also. Looks great! I love following along to see what you've done. 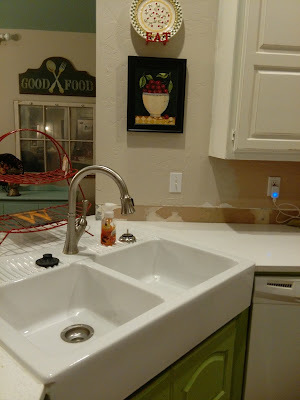 I love subway tile and want to put it in our kitchen. I also want to paint my kitchen cabinets but am a little nervous. We've been in our house 2 years and its probably time to just do it. Thanks for sharing-you are motivating me to try something new. Good for you! Spray paint is my best friend! I was nervous to do the cabinets, but it wasn't as hard as I thought it would be. It makes it so much brighter in there too. Yes, my hands are beyond full with that Jesse! He has definitely hindered our progress, but at least he's cute! AHHH-DOR-A-BLE!!! So presh! 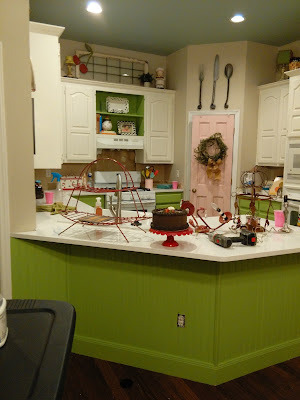 Love, love the pink pantry door and the bead board on the front of your bar. What are your countertops made of? I want white countertops so bad! 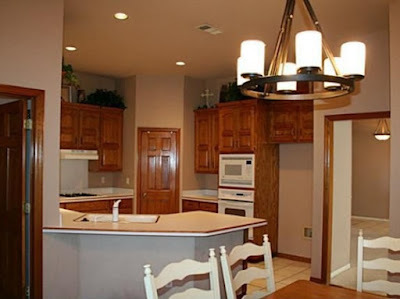 Did you use a sprayer to paint the cabinets? They are quartz! I will get a better picture. We are happy with them. Your all pics are good. But you don't share your living room, dining room's pics and i notice there is no gas fireplace Winnipeg in your pics specially for bed room.